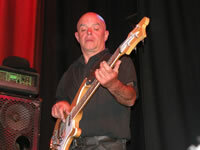 Bassist, Chris Yarwood started playing acoustic guitar at the age of 13. He bought his first bass guitar at 15. 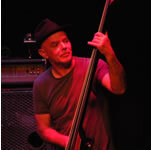 Having played in "more bands than he can remember" Chris first started gigging while he was at art college in Liverpool then with various bands in London, Plymouth and Bristol. After moving to South Devon Chris teamed up with Ian Loud. and through Ian has played and continues to play with many of the local groups. 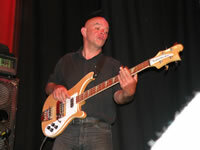 Chris plays a Rickenbacker 4003, which he terms "THE" guitar, and uses a, circa 1985, Trace Elliot 350 watt head and cabs. Chris's hobbies include music, sailing, painting. 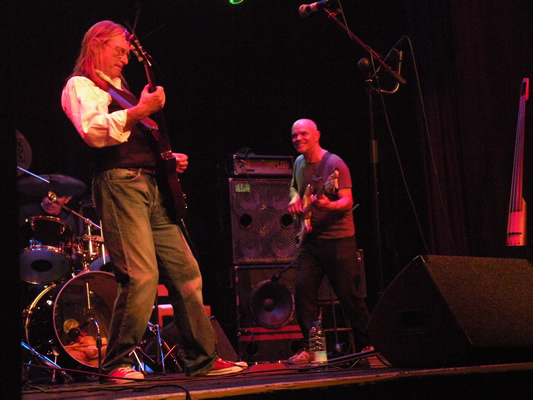 Chris Yarwood continues to record and tour with TEZZAH. Bass Cab 4 x 10"
Bass Cab 1 x 18"